From an early age I was an avid football fan and self-proclaimed football nerd. From the age of 13 I was at peace with the fact that football would remain as a hobby that took me away from the monotonous career I was ambling through. The dream of being a part of the fabric that makes football tick was never a realistic option, a distant fairytale we would read in childhood stories and imagine we were a part of when the book closed. 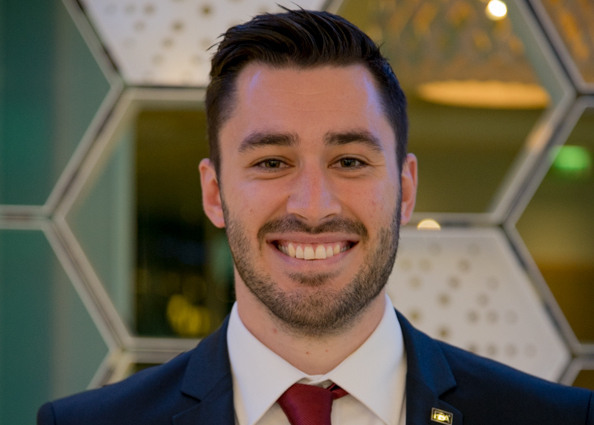 Reaching my 26th birthday the “inner footballer” had given up on the idea cementing a place in the upper echelons of the football business world, even as a coach in Sweden. I was content to find another path that would try to refocus my passion, but in the space of one google search I am currently not just dipping my toe in the football world, I am being flung in headfirst and submerged in all of its magic and wonder. lot. It would be naive to look at this and believe that this course wouldn’t be demanding, but as is the way it should be The FBA are pushing you to become your own person and allow you to blossom into the sort of person the industry is crying out for. The masters is what you make of it and the further you push yourself the closer you are to making a name for yourself in the industry. the business and being able to connect with them on a personal level outside of lectures. They are incredibly welcoming and always there to answer any questions you have, but most of the theoretical background you benefit from is unlike any material you could gain from any other institute in the world. For all of these reasons it is by no surprise, and quite rightly too, that the lecturers are given so much praise and gratitude by the students. Behind the scenes though, the FBA staff are the true shining lights that make the course what it is. Students are under no illusions to the amount of hard work and dedication that has been put into every detail of the course and, whilst a lot of faith has been put into us in the institute’s very first year, the foundation and structure of the masters is rapidly going from strength to strength. Regardless of time zone or type of question, the team are always there to tend to your needs. Receiving multiple questions and demands, especially from someone as eccentric as myself, the staff consistently reply with answers that alleviate your fears and return you to a safe place. They have worked tirelessly behind the scenes to bring in the best lecturers in the business, displaying a star-studded line up of the best people in their respective industries for us to pick the brains of. 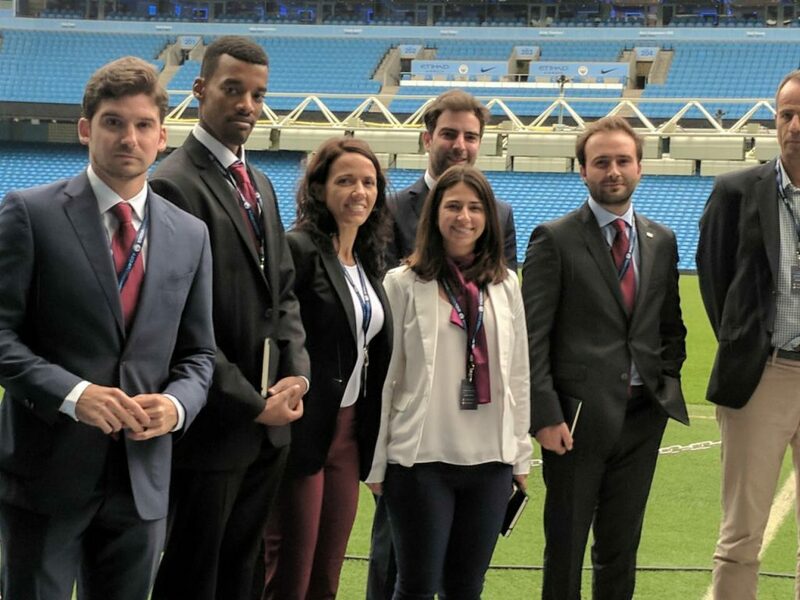 They provide you with the unimaginable practical opportunities, the opening week at Manchester’s global soccer convention, international internships with the best footballing organisations and spontaneous practical tasks within your own country. This course does not just focus on the theoretical side, but prides itself on allowing its students to spread their wings and apply all the gathered knowledge in a professional working environment. It is very rare that an education academy can find that balance between making you feel part of a family whilst also demanding respect between students and staff. That bond is so easily broken in the education industry forcing you to plant your feet firmly on one side of the line or the other. 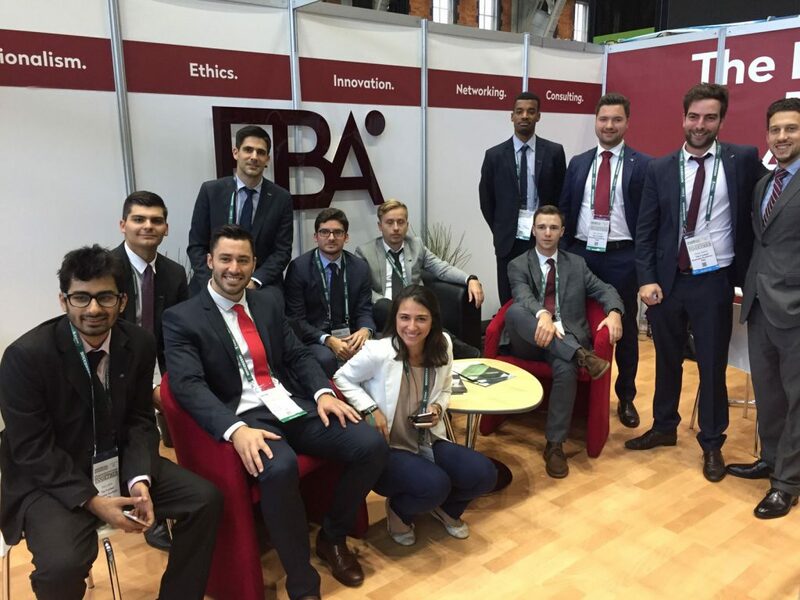 The FBA have seamlessly managed to combine the two in a way that as a student you know what is expected of you as well as who you can turn to in times of need or support. It is very easy to simply ignore the people who created this chance for you, but there is no doubt in my mind that every student feels the same sense of gratefulness and adoration I have to the FBA members who have allowed me to take hold of this opportunity. Take nothing for granted, and only give back your best. That is the message that keeps ruminating over and over in my head every day this journey into the great unknown. I have firmly shut the door on my previous career, embraced The FBA with everything I have and in return they have given me the opening I have craved since a little boy. This course has challenged, inspired, motivated, lit a fire beneath and allowed me to look in the mirror and show myself who I truly am and who I want to be. I am meant to be in this industry and as The FBA have said, it all comes from within. They have well and truly provided a platform to great things that I only thought were visible in legends or fairytales from my distant childhood. Instead, The FBA are allowing me to write my own story by giving me the pen and never-ending supply of paper to write it all down on.